License plates readers, laser scanners and account notifications during the new toll systen at the Pharr Bridge on Friday, July 6, 2018 in Pharr. PHARR — A new $1.5 million toll collection system at the international bridge here will come online by mid-August, and bridge leaders are pushing its implementation to the trade community. 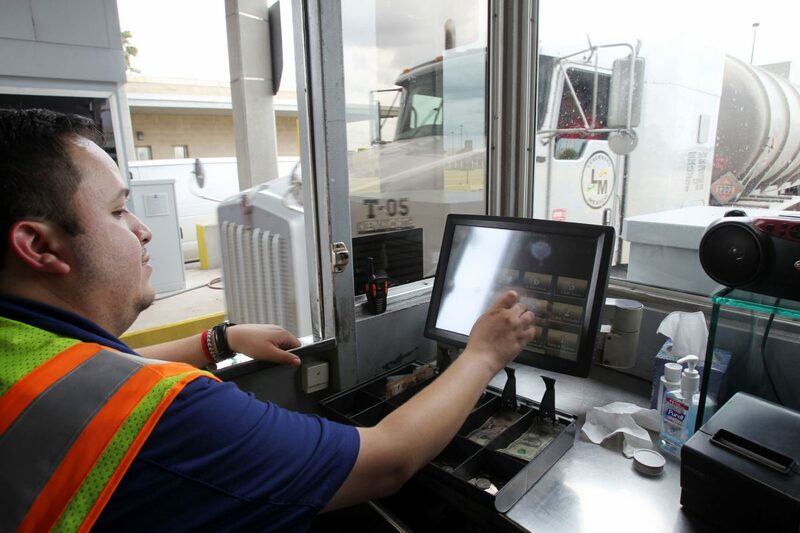 License plate readers, laser scanners and account notifications not dissimilar from bank account alerts are some of the new technologies the system will feature at the Pharr-Reynosa International Bridge in hopes of streamlining the trade process. Companies that use the bridge will be better able to track their vehicles and accounts they have set up with the bridge, and other entities through which their trucks pass, such as toll roads in South Texas. Many trucks that cross the bridge continue on to the Port of Brownsville, where goods are then shipped via boat. Between the port and Pharr are toll roads in Cameron County, which is why county officials and Pharr commissioners signed an interlocal agreement last June to enhance the toll collection on State Highway 550, the 10-mile stretch from Interstate 69 to the port’s entrance. Gustavo Garcia a toll collector with the City of Pharr, checks the tags on a truck during the new toll collections system on Friday, July 6, 2018 in Pharr. Vechicular traffic makes it way to the Pharr Bridge on Friday, July 6, 2018 in Pharr. A new $1.5 million toll collection system is in place. Trucks roll on by the toll booth during the new toll collection system at the Pharr Bridge on Friday, July 6, 2018 in Pharr. 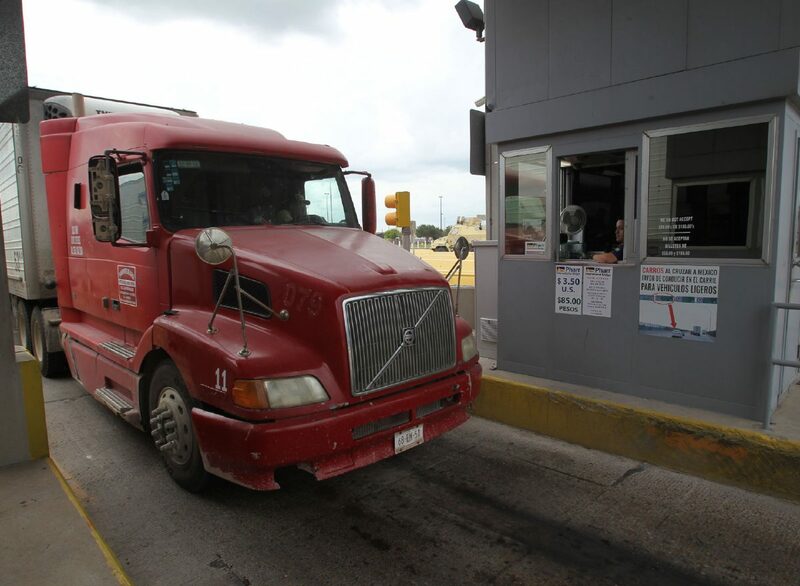 Pharr Bridge Director Luis Bazan said last June that the city expects to accrue about $33,000 annually by collecting tolls from trucks that cross its bridge and subsequently drive to the port using SH 550. The Cameron County Regional Mobility Authority has worked with Pharr on the design, implementation and rollout, as the transit group is mostly responsible for the toll road. This new revenue stream will boost the Pharr bridge’s already-robust $12 million yearly intake. 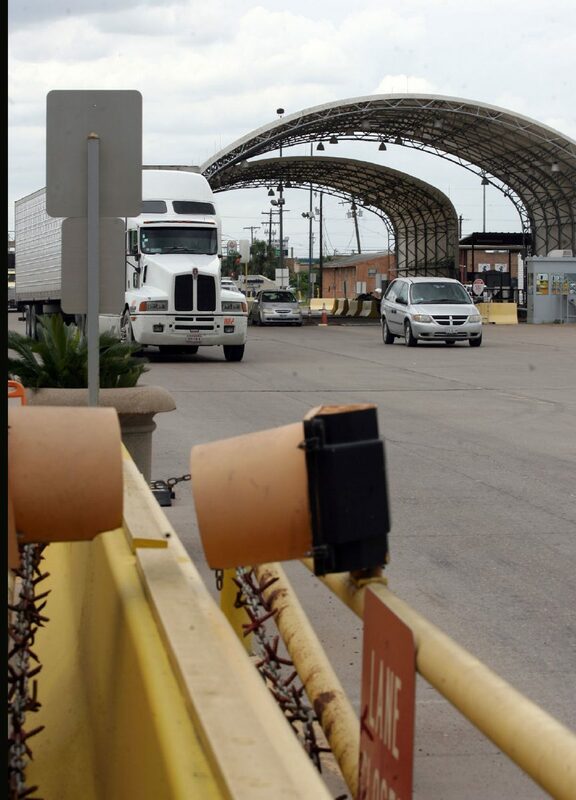 Pharr has the only full-service commercial land port of entry in the area, which is a financial boon for the city but can also hurt the trade industry, as wait times for trucks often back up for hours. Currently, companies using the bridge can sign into a Pharr-specific website where they can see the barebones of their account, and that’s about it. “They can pull their statement, and even that takes a full 24 hours for them to even view it,” said Jesus Adrian Rincones, chief financial officer for the CCRMA who, along with a colleague, presented to a full boardroom of trade industry employees on Thursday in south Pharr. 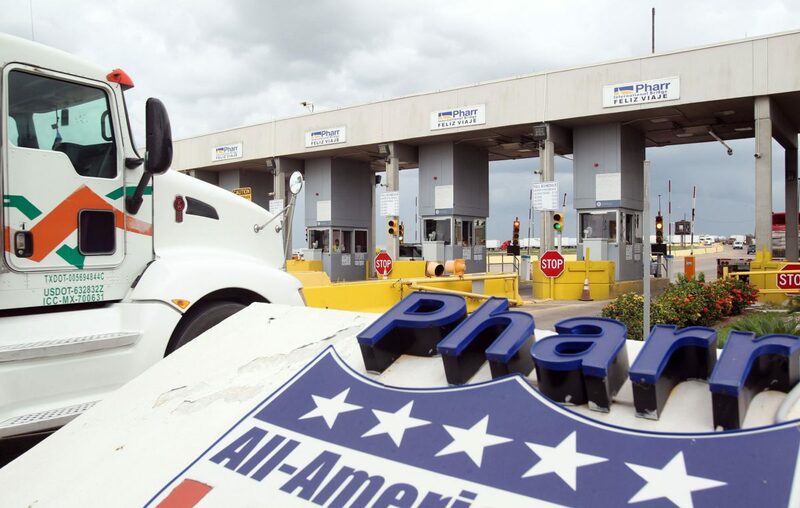 Those bridge toll payments, which companies currently route to Pharr through PayPal, is not efficient, Pharr officials said. This new system will allow customers to monitor their accounts in real time, will not have to pay an extra fee to PayPal and will alert customers of their account balance like a banking notification email. There will also be license plate readers and lasers to scan the trucks so customers will be able to track their trucks as they pass through the port, Rincones said. It also adds a layer of security, so if a customer sees one of their license plates pass through the toll system but the plate does not align with the truck it’s on, they can notify authorities, as so much illegal trafficking happens at ports of entry.